Astronomy and Science Fiction collide! So I usually don’t write about what I am doing besides writing and reading. I blog about what I read. Or I blog about the latest piece I’m working on. But I hardly ever talk about what I am learning. I just finished a class on Astronomy. It was elementary astronomy in my last semester of college. I have always loved astronomy. I have studied the stars, moon and other constellations ever since I was small. Late at night my family and I would watch meteoroid showers shoot across the sky. A shooting star is something I constantly wish upon. How can anyone not be amazed by the heavenly sight we see at night? I follow astronaut Reid on his Twitter page along with NASA on their Google+ and Twitter page. How interesting it is to see the solar flares that shoot from the sun everyday of the week, or see pictures of the Earth as colors of fall change the face of the planet? We can view photos of other stars colliding with each other. And now we know a black hole sits in the center of our galaxy. Our limited grasp of knowledge on the universe is like a grain of sand compared to how huge the universe really is. 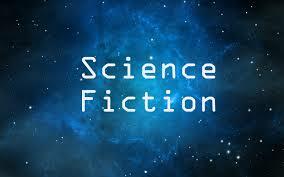 Now compare this bit of information I have learned to the science fiction books I have read. When I finished reading the “Maze Runner” series, by James Dashner, I knew he must have researched the effects of CME’s or solar flares on Earth. Most science fiction writers, who are smart enough, will do their research and make sure they are not making up a fantasy world. It must be a plausible idea. 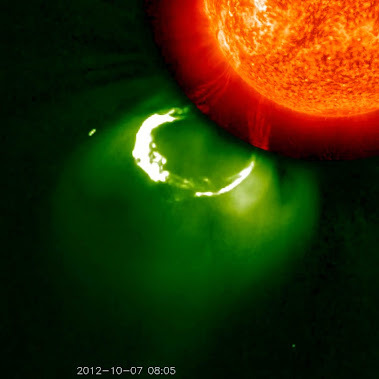 Whether a solar flare causes the equator to dry up like a desert or lightening storms cause massive damage, each idea must have a working theory. Just like the idea of bug aliens who come to destroy us like in “Ender’s Game” by Orson Scott Card. Each idea must stem from a piece of truth. The proof is in the pudding. We have brilliant astronomers who have theories that they must prove right. Can anyone argue with them? I wouldn’t. A theory refers to a framework of ideas and assumptions that must be continually tested. I love astronomy and now I know a little bit more about the subject. 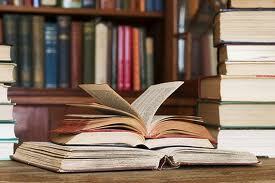 Never stop learning and reading. Because if one day you decide to write a science fiction book about the sun imploding and turning into a black hole then you will need to go back to the drawing board and learn more about the sun. There are 12 stages of a star, and we are in stage 7 of the main sequence. If the sun reaches stage 12 (becoming a planetary nebula) then it has passed the stage of red giant and 100 million years has gone by. All life had been destroyed when the Sun’s core heated up and expanded. We would have died in stages 8 and 9. October in North America means the Orionid meteor shower. Don’t miss it. Take out that dusty telescope and start searching the night sky for a spectacular light show.